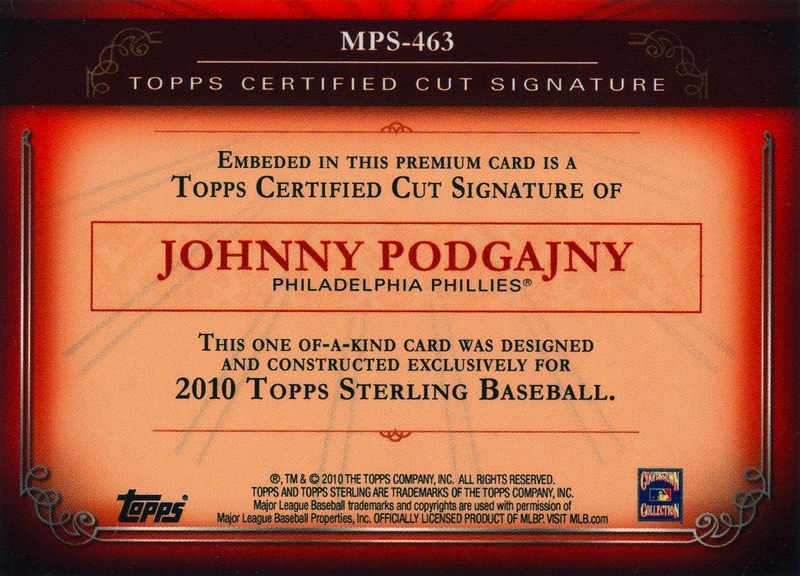 Additional Information: Cards were randomly inserted in packs of 2010 Topps Sterling. Nearly all the cut signatures were produced in quantities of just one or two. The front of each card bears a serial number on the bottom-center of the front border. In the checklist below, all cards below carry a “1/1” serial number — except for George Darrow, Ike Pearson and Robin Roberts, which were printed in quantities of two. Additionally, the card numbers for Hersh Martin, Al Porto and Roberts are unknown at this time. Because of the size of the set and the relative scarcity of information regarding team designations, the following checklist should be considered incomplete. Any additional information regarding Phillies in this particular set is appreciated.